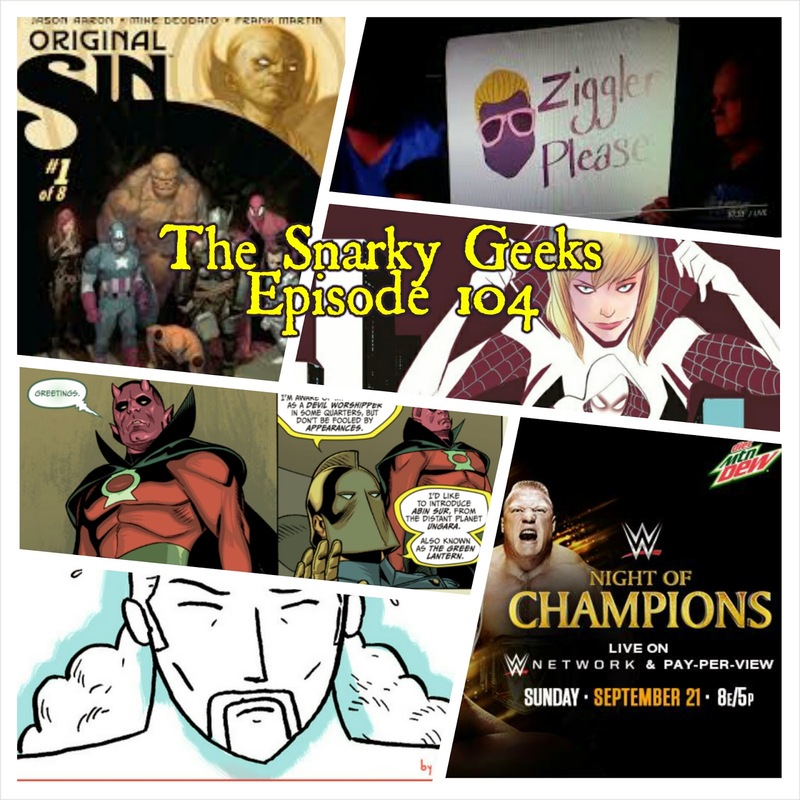 Snarky Geeks Episode 104 - ...Ziggler Please! This Snark brings you a solo episode talking about Catch as Catch Can with a review of WWE event Night of Champions, The Legend of Ricky Thunder from Kyle Starks( I kept saying Stacks like a dumbass), Multiversity: Society of Superheroes, Grant Morrison love, Chris Sprouse, The Edge of Spider-Verse #2, Jason Latour, Robbi Rodriguez, Original Sin, and much more, ... Plus the Sorry-List! You really have to listen to the whole show!